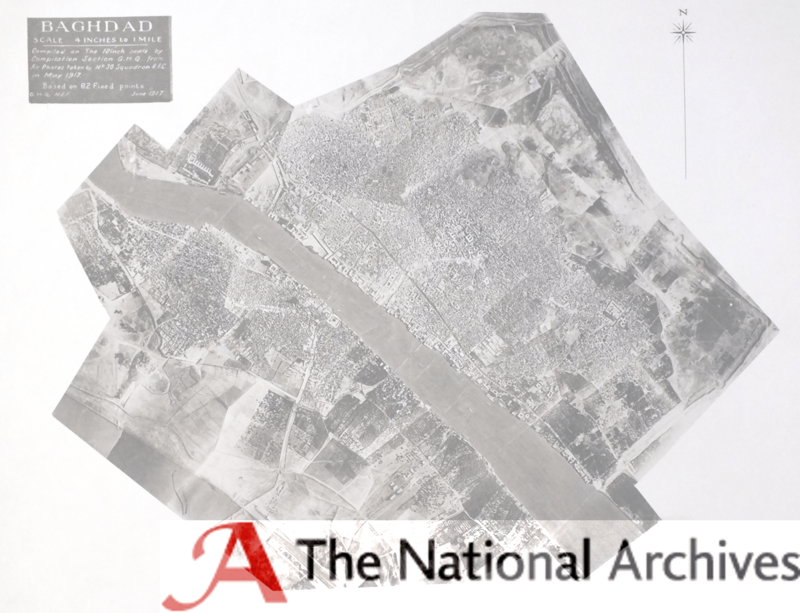 Map Compilation Section, GHQ, Mesopotamian Expeditionary Force, Photo-compilation of the Baghdad City Plan from Air Photographs (Baghdad, 1917). Size of the original: approx. 85 × 105 cm. National Archives of the UK (ref. WO 302/551).